Judge Judy: STOP! You believe liberal crap? 1,638 views, 6 upvotes, Made by Joodles 2 years ago liberal crapjudge judy stop! 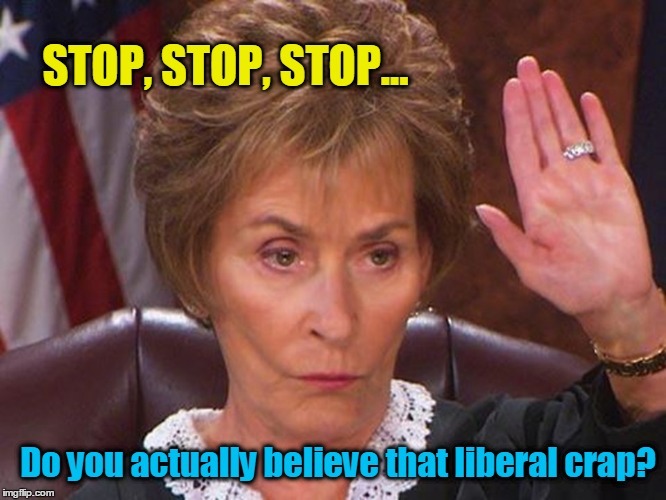 STOP, STOP, STOP... Do you actually believe that liberal crap?